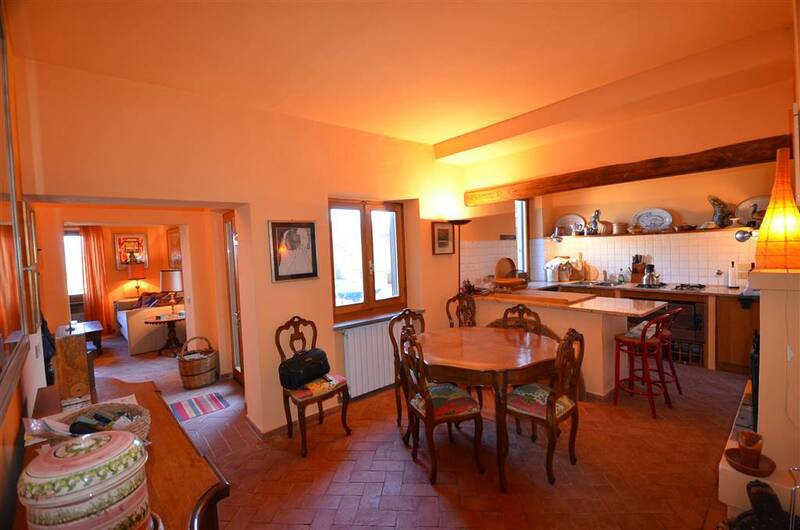 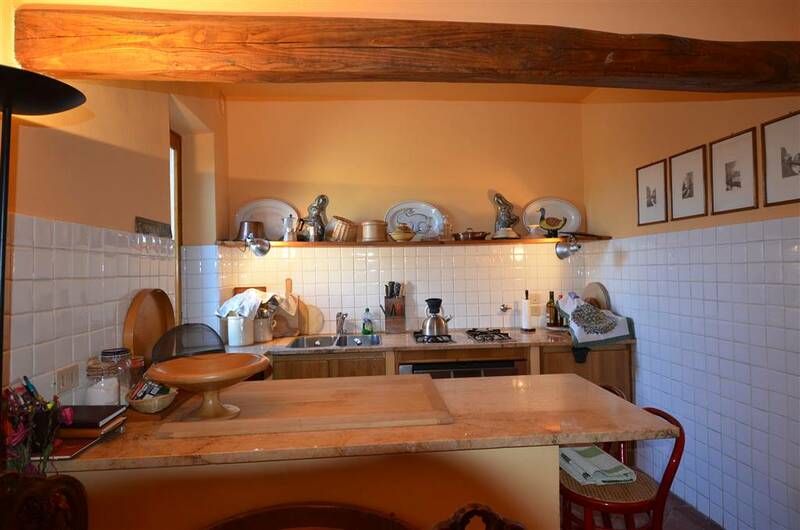 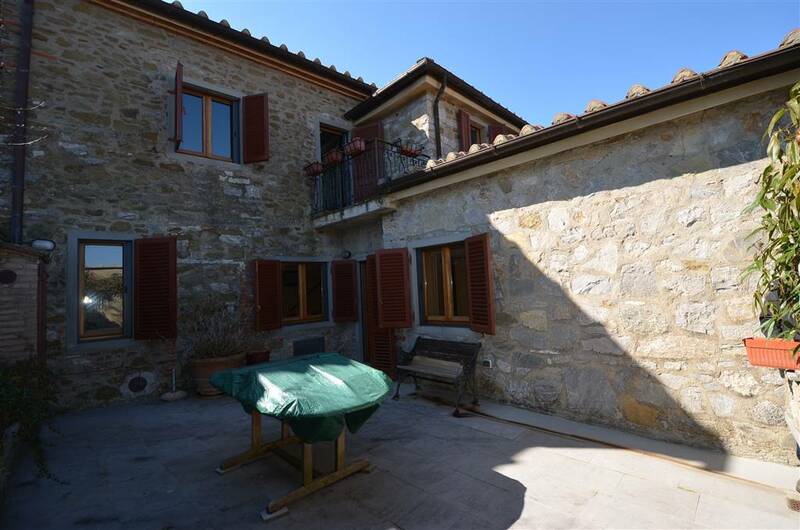 This beautifully restored semi-detached country house is located only a few kilometres from Gaiole in Chianti, within a charming stone built hamlet/borgo in a quiet and panoramic location, among the picturesque hills of the Tuscan countryside. 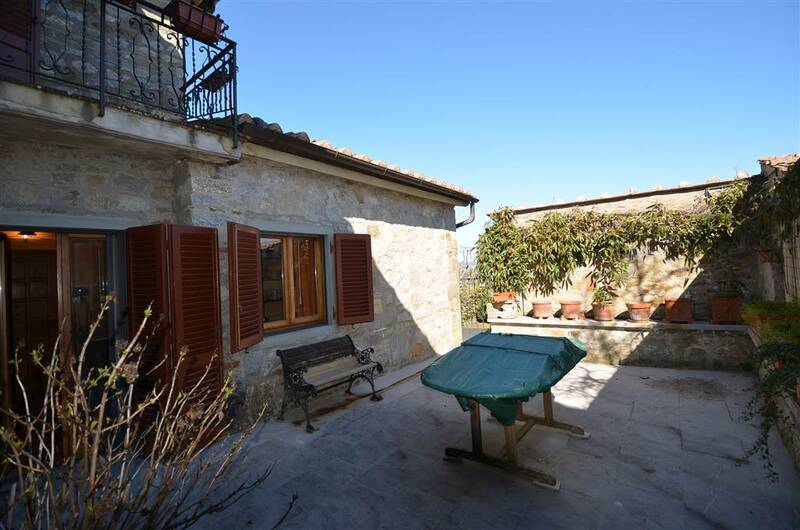 With fantastic views over vineyards and olive groves, recently renovated, this property, on two levels, has been beautifully updated whilst managing to retain its original charm. 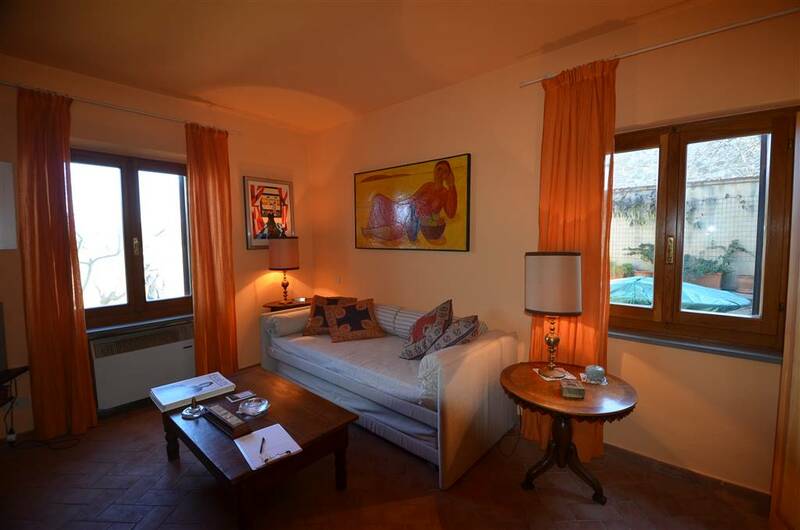 It boasts a terrace, a lovely inner courtyard and a garden with amazing, panoramic views. 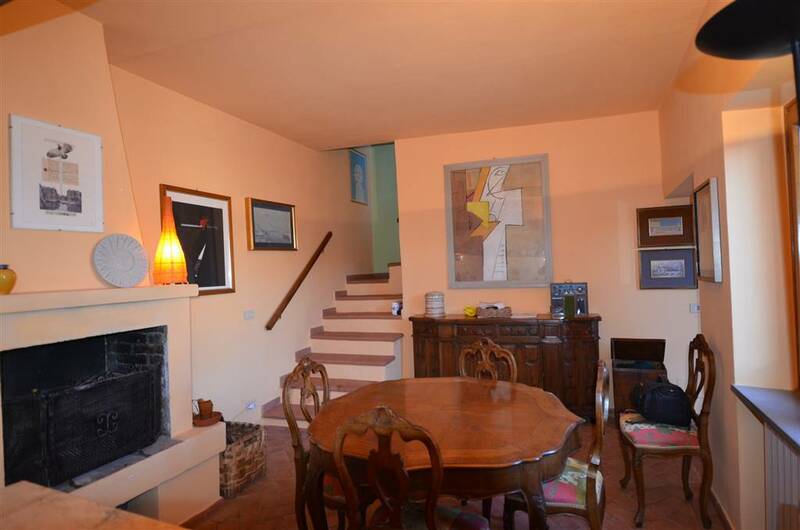 It works perfectly as a private family residence. 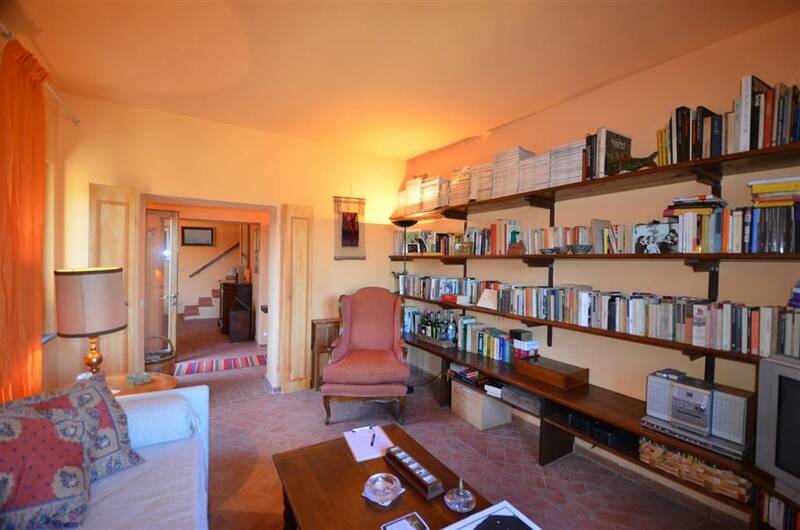 This semi-detached country house is spread over 2 floor levels internally connected. 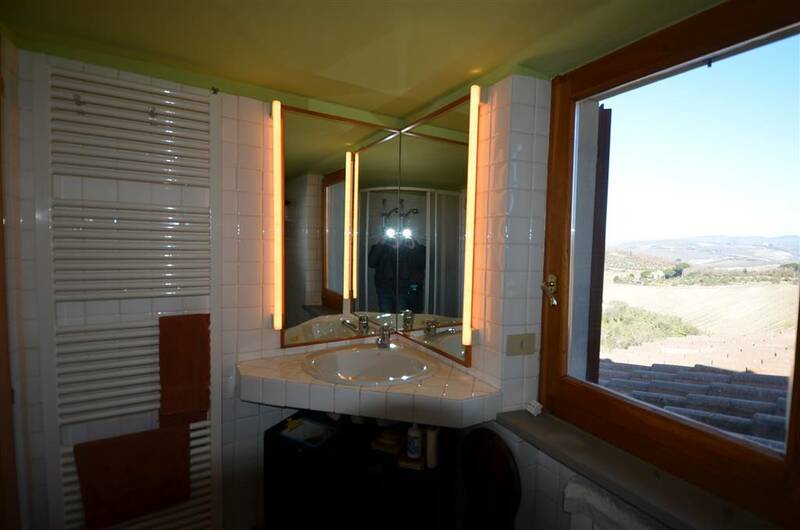 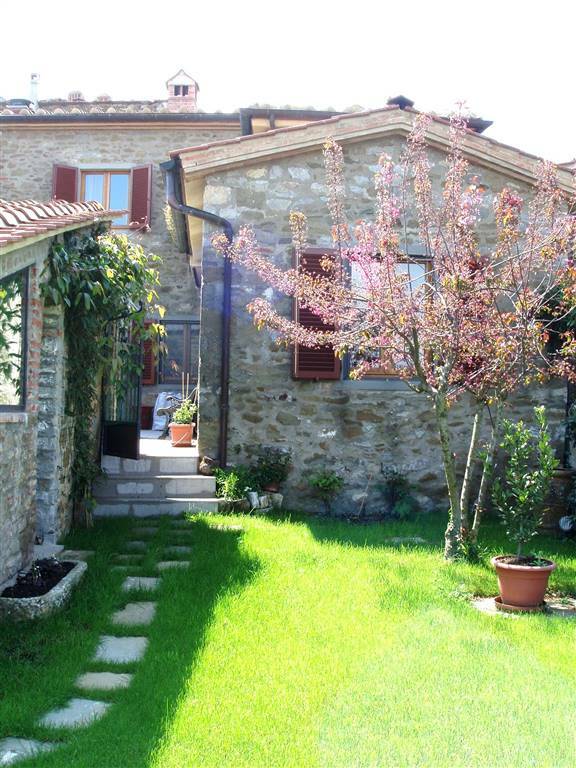 -Ground floor: Entrance, living room, kitchen attached to a dining room with typical Tuscan fireplace, bathroom with shower. 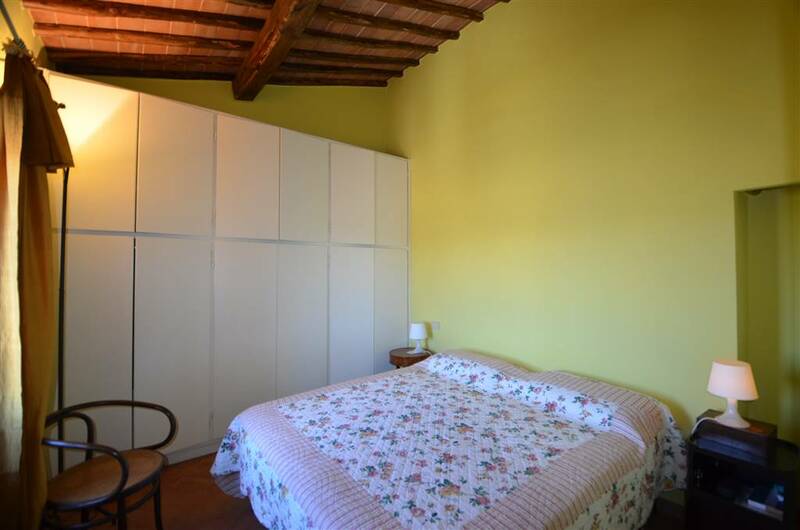 -First floor: double bedroom, private office/study that could be also used as a bedroom with two single beds, bathroom and terrace. 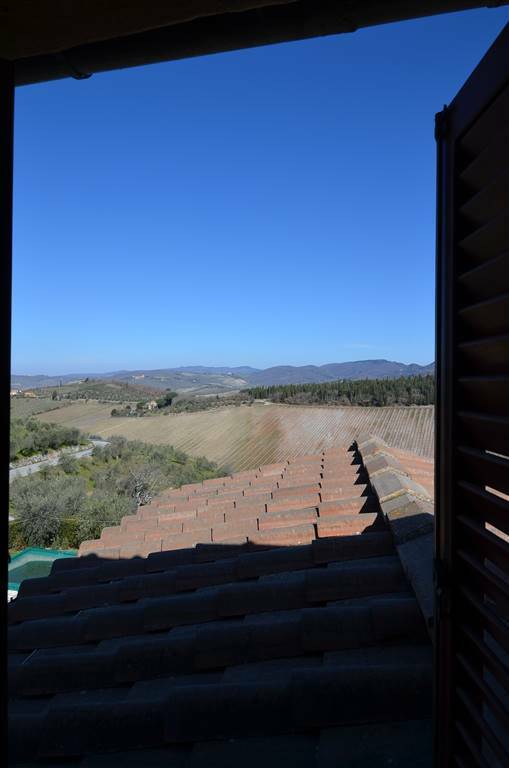 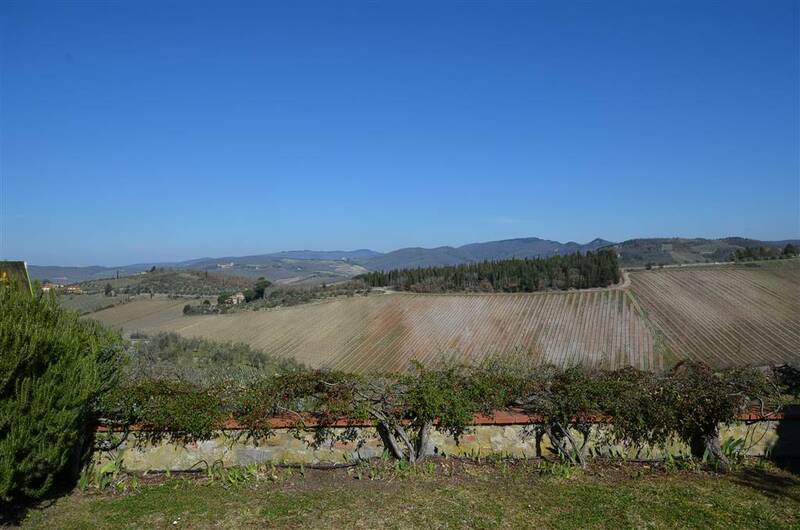 The views from all windows of this level and from the terrace are truly spectacular, stretching for as in all directions with the rolling hills of Chianti vineyards, olive groves and woodlands. 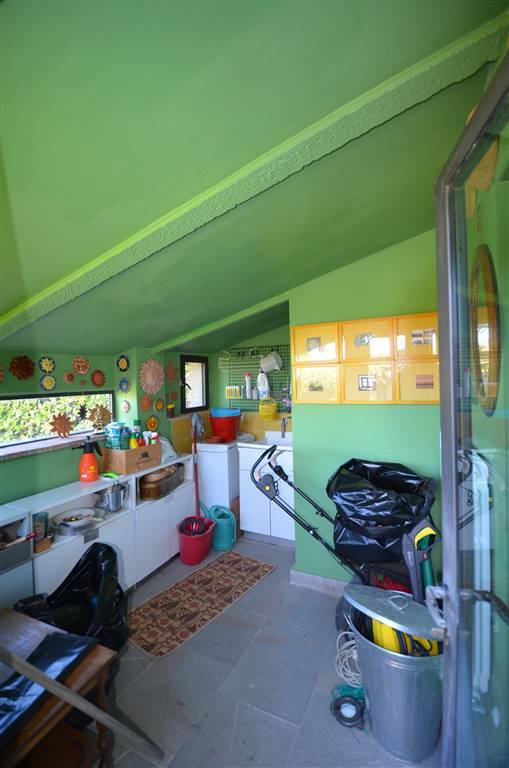 The entrance from the garden is sided by a large laundry room, a storage room and a technical room. 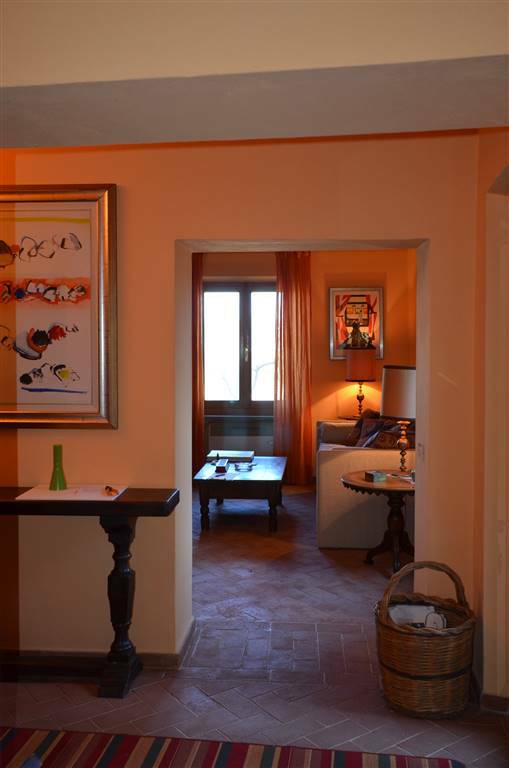 The property has been immaculately restored. 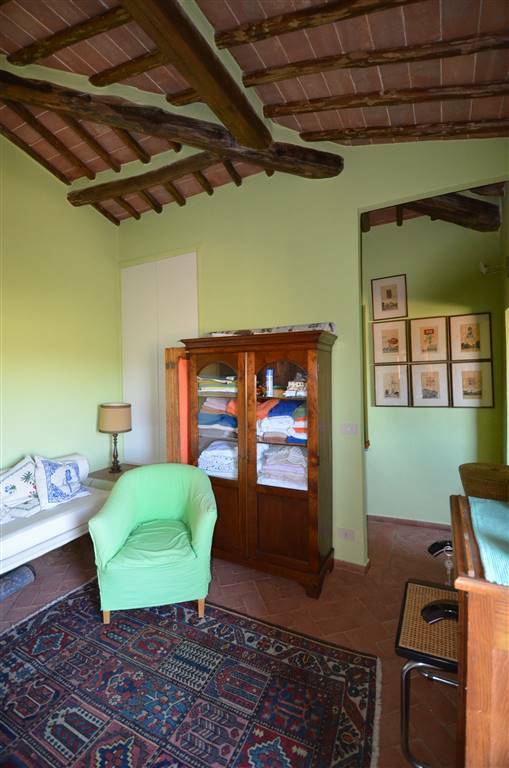 The recent restoration has been carried out to a high level with great care and attention to preserve the traditional Tuscan style and abundance of original features. 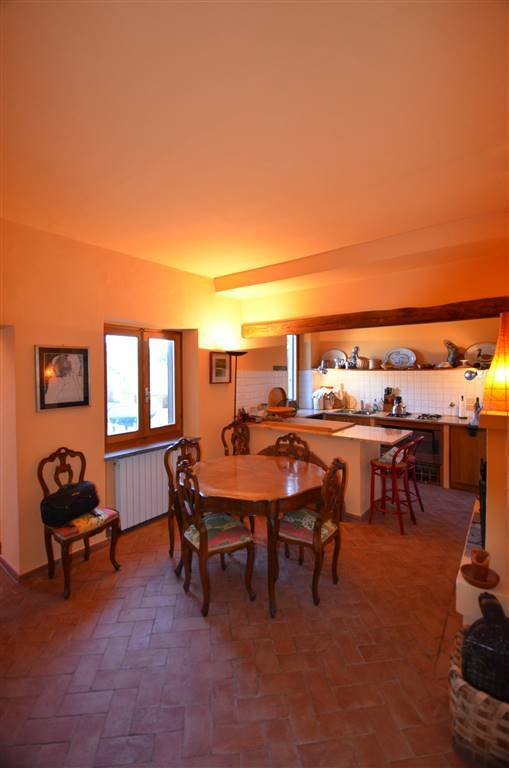 Hand made terracotta floor tiles have been used. 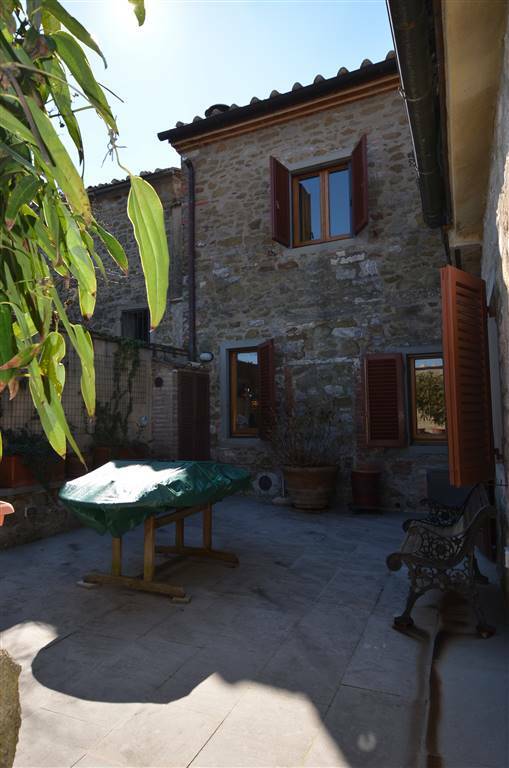 The style may be described as typical Tuscan rustic country house; the property still emits an age old ambience reflecting true Tuscan architecture. 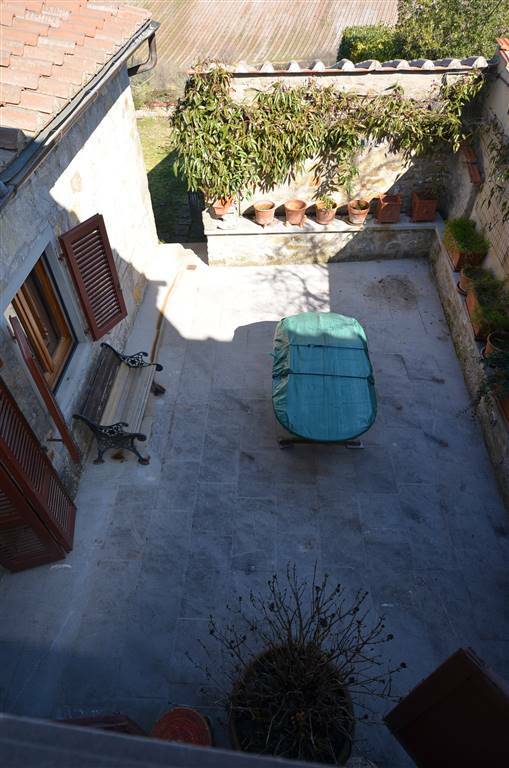 The roof has undergone thorough renovation and insulation. 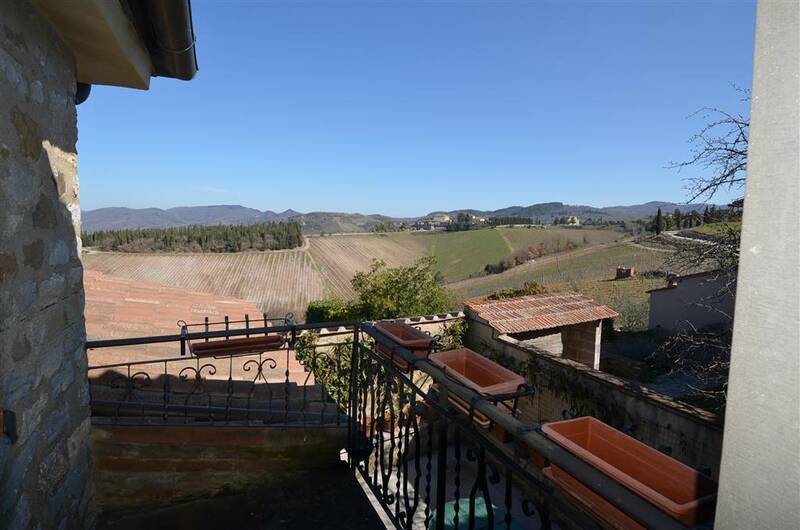 - Semi-detached country house within a typical Tuscan ancient Borgo situated in Chianti's heart in a very panoramic position. 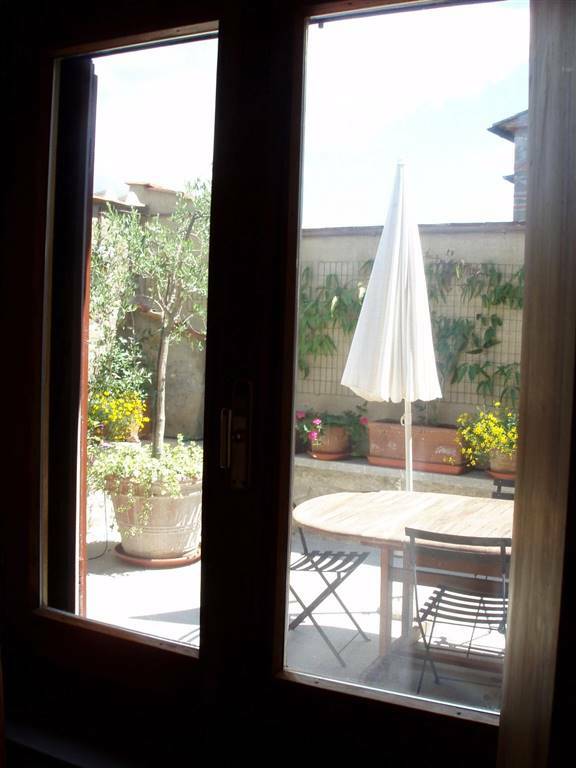 - Wonderful stone paved inner courtyard to enjoy meals outdoors.